“Our late BJP leader Gopinath Munde’s dream has come true. Definitely we are grateful for the Modi wave, but it was Munde who brought thousands of Dalit youths together to join the BJP,” said 52-year old-Dilip Kamble, Pune’s sole Dalit BJP MLA, who was sworn-in as a minister of state on Friday. Kamble was among the ten-member BJP ministry, led by Devendra Fadnavis, sworn-in at a grand ceremony at Mumbai’s Wankhede stadium. He grew nostalgic as he told The Indian Express that it was only after Munde encouraged the young party workers that the face of the party changed — making it more a party of the commoners and Bahujans than just an upper caste one. “It was Munde’s relentless effort for the last 30 years that party workers like us have got our due,” Kamble, who hails from the Matang community, said. “His only slogan was ‘keep working for the poor’,” he added. Kamble who had earlier won the Assembly election from the Parvati constituency had become minister of state for social welfare in 1995. “Now, resolving Pune’s traffic woes will be my first priority,” Kamble said, adding that he would chalk out a programme to fulfill all the promises made in the manifesto. 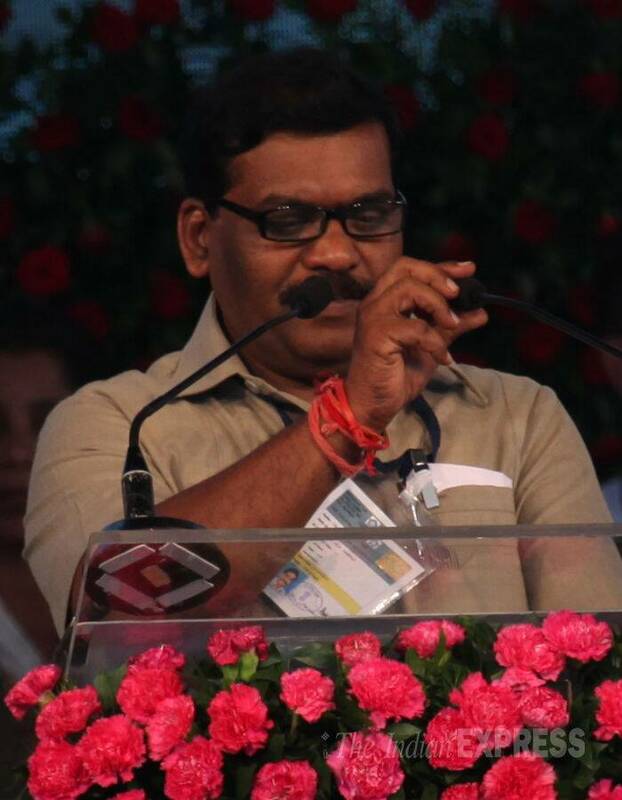 Kamble has won the Cantonment Assembly constituency which has traditionally been dominated by Congress. Apart from four Assembly elections — 1978, 1980, 1985 and 1995, Congress party has single-handedly won the Pune Cantonment seat since 1962 which is reserved for candidates belonging to scheduled caste`0. Former sitting MLA from Congress Ramesh Bagwe had defeated Shiv Sena’s candidate Sadanand Shetty in 1999 by a whopping 37,325 votes. However, with BJP gaining a substantial lead during the Lok Sabha elections, the votes of the Dalit community also went in favour of BJP as their ally RPI (A)’s candidate Navnath Kamble had withdrawn in the party’s favour. Kamble also promised amendments in the old Cantonment Act — which is a sensitive issue for residents here. “Our party workers and volunteers worked with determination and I am grateful to them,” said Kamble . “I will take up works including amending the old Cantonment Act and the traffic chaos issue,” he said. Meanwhile, the BJP party workers here in the city are ecstatic over the inclusion of Kamble in the ministry and are confident that the second cabinet expansion will have more names from the city.